Do you feel like getting involved and joining one of the organised events for this year? Please see the PDF for details, or follow this link to the Festival website. 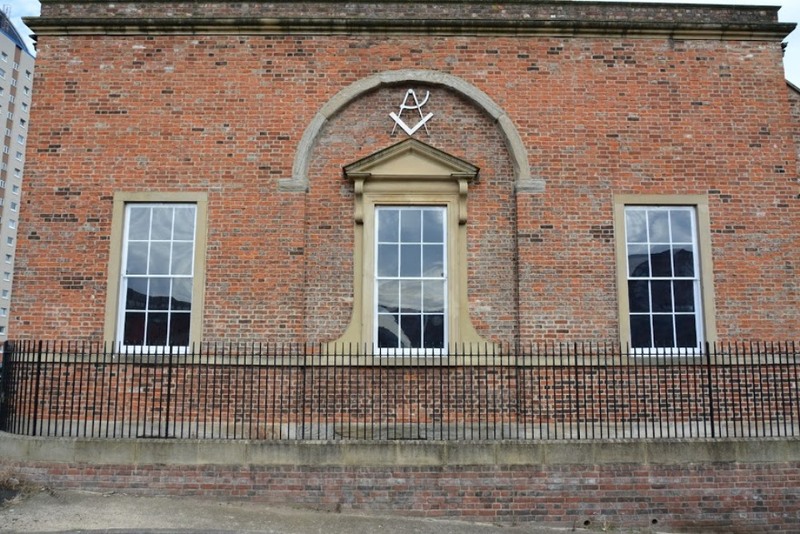 The Annual Meeting of Provincial Grand Lodge will be held at the Lancastrian Suite, Federation Brewery, Dunston, Gateshead, Tyne and Wear, NE11 9JR on SATURDAY 29th June 2019. Provincial Grand Lodge will be opened PROMPTLY at 11.00 am. The Provincial Grand Master hopes that many of you will attend this Annual General Meeting and looks forward to welcoming you on the day. Each Lodge in the Province MUST be represented at the meeting and Lodge Secretaries will be asked to confirm the name of that person in a separate communication. The Lodge representative must also apply and pay for a meal if they intend to dine. Current Worshipful Masters of Lodges are once again to have reserved seating and receive a special welcome by the Provincial Grand Master, and it is hoped that as many as possible will attend wearing the collar of their office. Master Masons are also most welcome and encouraged to attend. Dress is to be Dark Clothes, Craft Regalia – gloves ARE required. Lunch will follow the meeting in the Lancastrian Suite at approximately 2.00pm. Proceedings should conclude by 4.30pm. A full Agenda, Minutes of the previous meeting, and a list of those who are to receive honours will be sent nearer the time. Dining numbers will be restricted to 300 places so early booking is recommended. Tickets cost £29.00 each (inc. wine/ soft drink on the table) – maximum of 8 brethren per table for comfort. 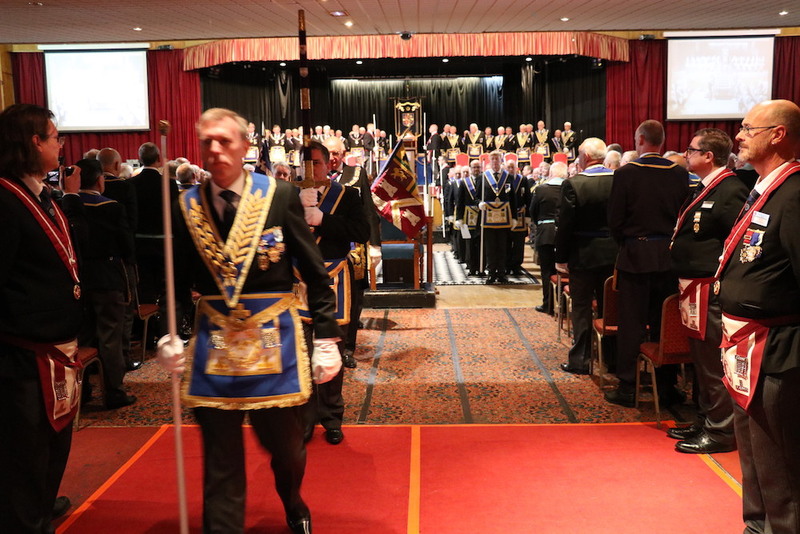 The Annual Convocation of Provincial Grand Chapter will be held at the The Lancastrian Suite, Lancaster Road, Dunston, Gateshead, Tyne & Wear, NE11 9JR on WEDNESDAY 22nd May 2019. All Principals and Past Principals of Chapters of the Province and those who have duties to discharge are expected to be in attendance. In addition all other Companions in the Province are welcomed and strongly urged to attend. Each Chapter in the Province MUST be represented at the meeting and Lodge Scribes will be asked to confirm the name of that person in a separate communication. The Chapter representative must also apply and pay for a meal if they intend to dine. Once again, current Installed First Principals of Chapters are to be received into the meeting by the Provincial Grand Superintendent as part of a separate formal procession and it is hoped that as many as possible will attend. A Signature sheet must be signed on entering Provincial Grand Chapter. Dress to be Dark Clothes, Royal Arch Regalia – gloves are NOT required. Companions must be seated by 3.30 pm. The Processions to start at 3.45 pm. The Chapter will be opened PROMPTLY at 4.00 pm. Dinner will follow the meeting, to be held in the Lancastrian Suite at approximately 6.30pm. Proceedings should be concluded by 9pm. Tickets cost £29.00 each (inc. wine / soft drink on the table) maximum of 8 companions per table for comfort.